'Marsbees' could make it easy to sample the atmosphere and map the terrain. We’ve sent landers and rovers to Mars, but the next visitors to the Red Planet may be swarms of robotic bees. NASA is funding preliminary work on the development of “flapping wing aerospace architectures," or “Marsbees,” as a new tool for exploring the Martian environment. The little bug-inspired robots — each about the size of a bumblebee — would sport battery-powered wings and various sensors. They would make brief flights, sampling the thin Martian atmosphere and reconnoitering the terrain below before returning to their home base — probably a rover — to recharge their batteries. “Each Marsbee would carry an integrated video camera and the swarm could construct a 3-D topographic map of the local surface for rover path planning,” Dr. Chang-kwon Kang, assistant professor of mechanical and aerospace engineering at the University of Alabama in Huntsville and one of the researchers working on the robotic bees, told NBC News MACH in an email. 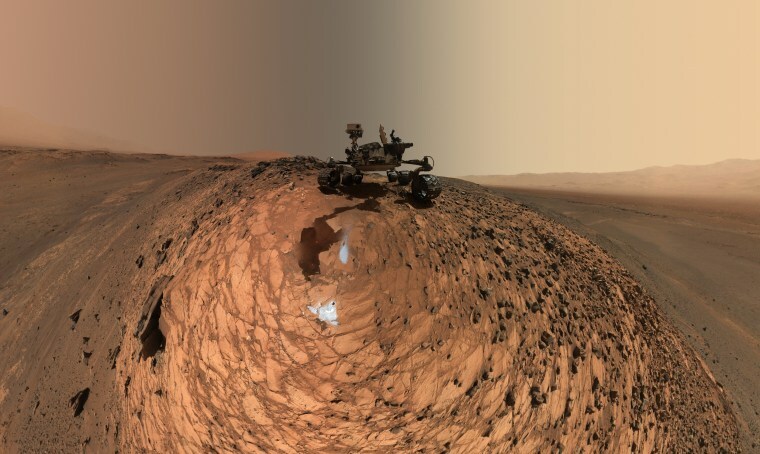 Weintraub, who is the author of the forthcoming book “Life on Mars: What to Know Before We Go,” said he supports the idea of sending robots to the Red Planet. “I’m very strongly in favor of doing as much robotic exploration of Mars as we can possibly do before we actually send people to Mars in large part because I’m concerned about contaminating Mars, just in case there’s any life there already,” Weintraub said. The Marsbee effort is in its infancy. Researchers at the University of Alabama are using computer simulations to design the bees, and researchers at Tokyo University of Science in Japan are planning to construct prototypes based on the design.